Have you ever had one of those moments when you get a new book, you open it up, and you can't settle yourself to start reading at the first page because you're so excited about what's in the book. You just can't stop flipping from page to page? That's how I felt when < a> Handmade Packaging Workshop arrived at my house. If you're looking for inspiration and lots of examples of beautiful, professional looking packaging that is either handmade or fits a handmade aesthetic, then this is the book for you. When I say the examples in this book are either handmade or "fit a handmade aesthetic", what I mean is that the majority of the examples have handmade elements, but a few are not handmade but have a look that suits handmade products. The author has rated each example in the book to show the degree to which it is handmade. She outlines the processes used to create each example so you know, in general, how the designer achieved a particular look and feel. Before I get too far into this review, I need to clarify what this book does not cover. This book is not a collection of step-by-step projects for creating different types of handmade packaging. However, that information is just an overview and not detailed enough for a beginner to jump in and start using the techniques. The goal of this book is not to provide a series of packaging tutorials that you can follow step-by-step. If you're looking for a book about handmade packaging that is focused on projects, and tutorials, you want Packaging Your Crafts by Viola Sutanto. 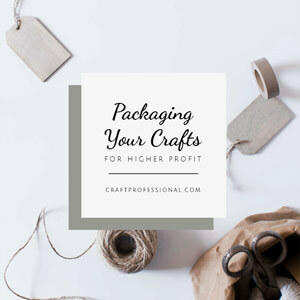 You can read my review of Packaging Your Crafts here. Or learn more about Packaging Your Crafts on Amazon. What the book does present beautifully, is a huge array of examples of great packaging that is highly suitable for handmade products. 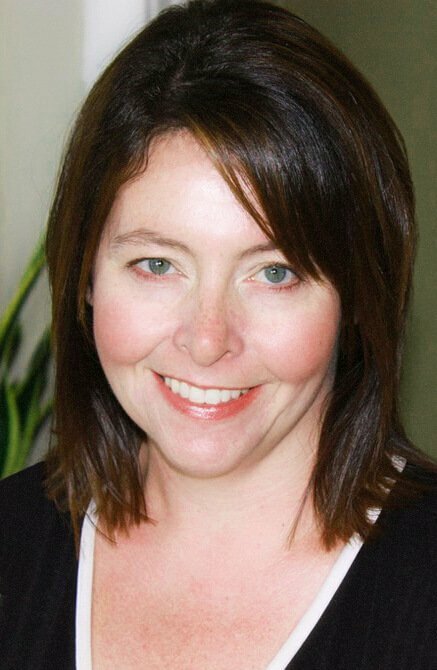 The author uses a "case study" approach, and her main focus is providing inspiration, not tutorials. That's perfectly fine with me because inspiration is what I was looking for in this book. I can find in-depth instructions elsewhere if I want to try a specific technique. However, I wanted to mention this fact because the book's title may give you the idea that it includes tutorials when, in fact, it is an inspiration and case study book. So, now you know exactly what you're getting if you decide to order the book for yourself. If you're the kind of person who is good at looking at something, taking inspiration and then figuring out for yourself how to make something that is perhaps similar but uniquely yours (which I assume many of you are since you sell your own crafts) then you'll get a lot out of this book. DO YOU NEED TO BE HANDY WITH GRAPHICS EDITING SOFTWARE TO BENEFIT FROM THIS BOOK? If you are handy with graphics editing software (which I assume some of you are but many more are not) then you'll be in a better position to jump in and create your own packaging projects. I do know my way around Illustrator and Photoshop, so when I read this book, I couldn't wait to fire up the software and start experimenting. However, I realize many people don't have a comfort level with graphics editing software, so I want to try to look at the book from that perspective as well. 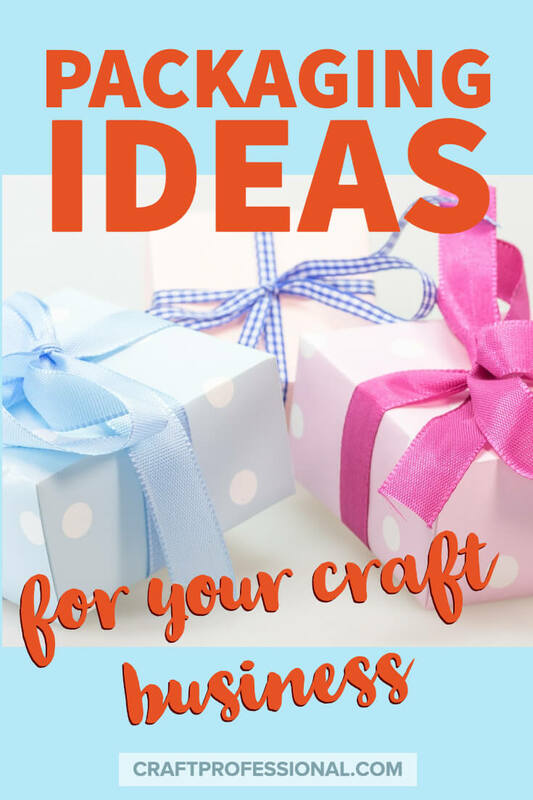 In my opinion, if you're looking for ideas for packaging for your own crafts, but you're not handy with graphics editing programs, you will still get value from this book. To create your own packaging, depending on the techniques you decide to use, you might need to outsource some of the work required in order to create your vision. If there's a specific look you want, but you can't create it yourself, it just means you'll need to find a design that evokes that feel elsewhere, and you shouldn't have to break the bank to do that. You can find reasonably priced patterns and images on stock image sites that could be printed and used for packaging, or perhaps a college design student or even a mature high school student who is creative and good with graphics software could put together the exact look you want for an affordable price. The examples in the book can help you flesh out your own packaging needs and give you a sense of what you can create with a few, often simple and inexpensive materials. If you're not able to create the design yourself, the examples in the book will help you communicate what you like with the person who does create your packaging design. This book completely changed my mind about the value of taking time to add beautiful packaging to handmade products. Before, I felt it added unnecessary time to the production process (read more about my little epiphany here). After reading Handmade Packaging Workshop I am convinced that packaging, done well, can be considered part of the product design, and if it raises the perceived value of the product, increases sales, and allows you to sell at a more profitable price, then the additional time is time well spent. People who want to create packaging for handmade items and know their way around graphics editing software (you don't have to be a pro - you can do some great things with a few basic skills) will completely adore this book and be able to create their own designs inspired by case studies in the book. People who want to create packaging for handmade goods and don't know their way around graphics editing software will also get a lot of value from this book. It should give you ideas about different types of packaging that could work for your products and how those decisions impact customers' perception of your products. You will be able to create your own packaging inspired by case studies in this book, but you might need to buy some stock image designs or enlist the help of someone who has some familiarity with graphics editing software. People who are looking for step-by-step handmade packaging tutorials won't find that in this book. The book is fantastic, but it is not tutorial-based. For me, Handmade Packaging Workshop was a great purchase, and I know it is a resource that I will refer back to many times. Increase your profit with better product packaging. 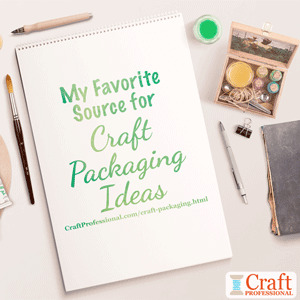 Another great craft packaging resource.